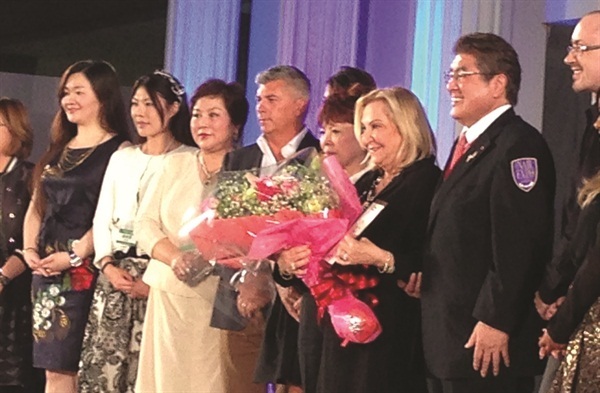 From a basement gathering of 25 members in 1981 to an arena filled to its capacity of 25,000 in 2014, Jessica Vartoughian and the Japan Nail Association (JNA) have come a long way. In acknowledgement of that fact, Vartoughian was honored with the Japan Nail Association’s Certificate of Gratitude in November for her outstanding contributions to the Japanese nail industry. The founder of Jessica Cosmetics, Vartoughian has been a major force in professionalizing the industry in Japan by mentoring and training manicurists, salon owners, and management teams. She helped usher in color on nails, which was not culturally acceptable in Japan prior to her arrival.